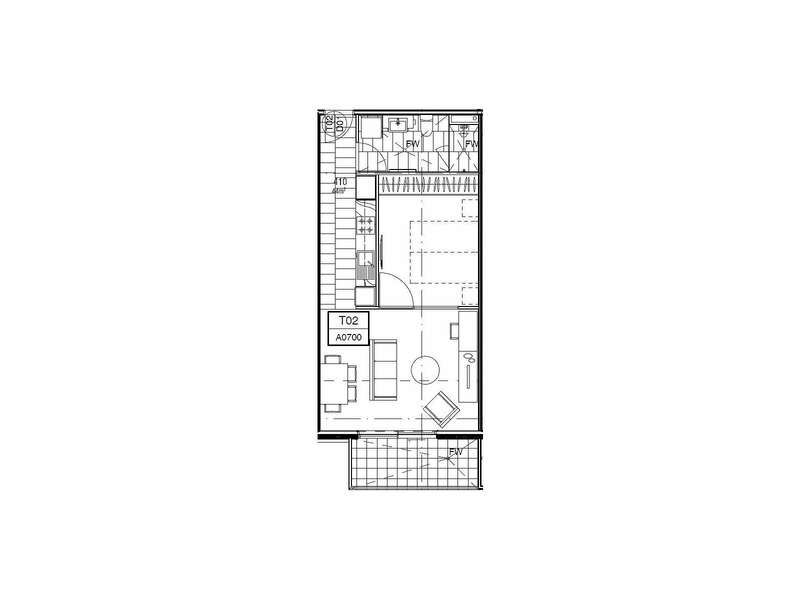 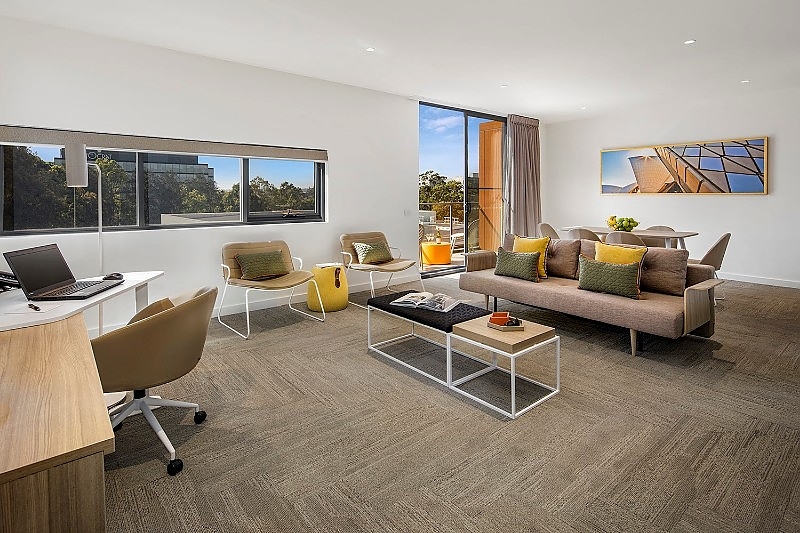 Spacious and stylish One Bedroom Apartment accommodation in Macquarie Park. 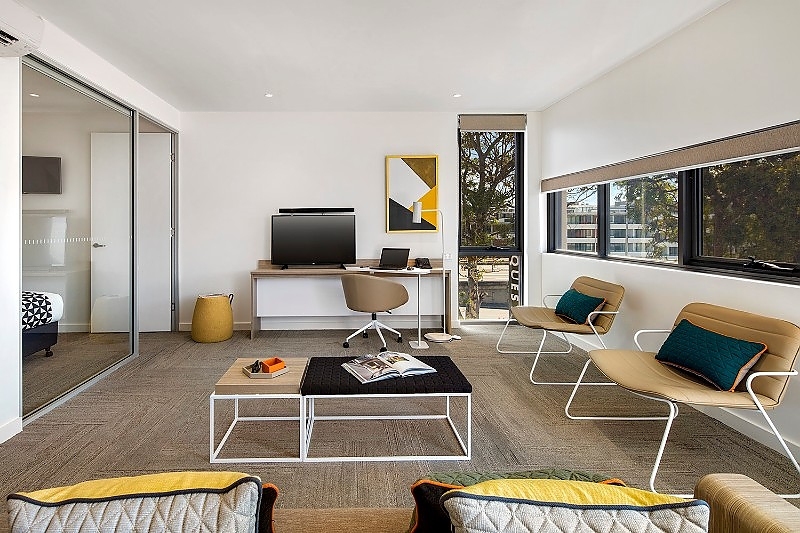 Our one bedroom apartments features a quality king bed, modern bathroom, fully equipped kitchen including stainless steel Fisher & Paykel appliances, spacious lounge, dining area, work desk and balcony. 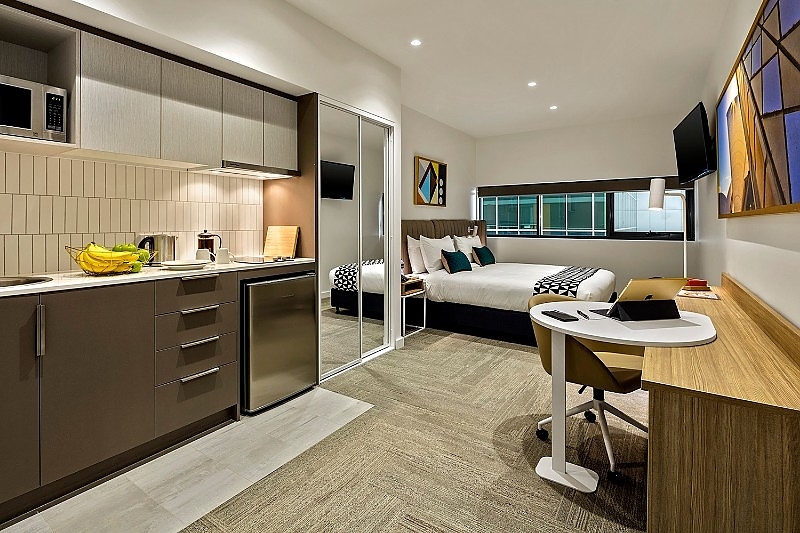 NEWEST APARTMENT HOTEL IN MACQUARIE PARK / NORTH RYDE AREA. 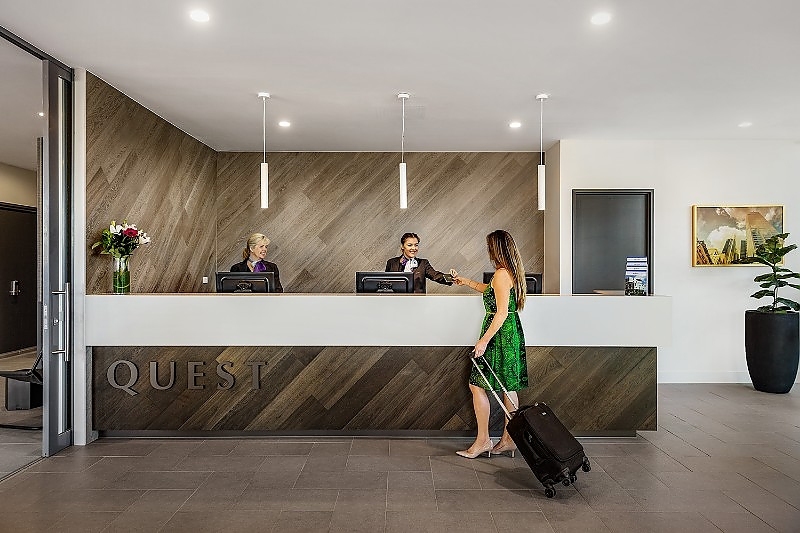 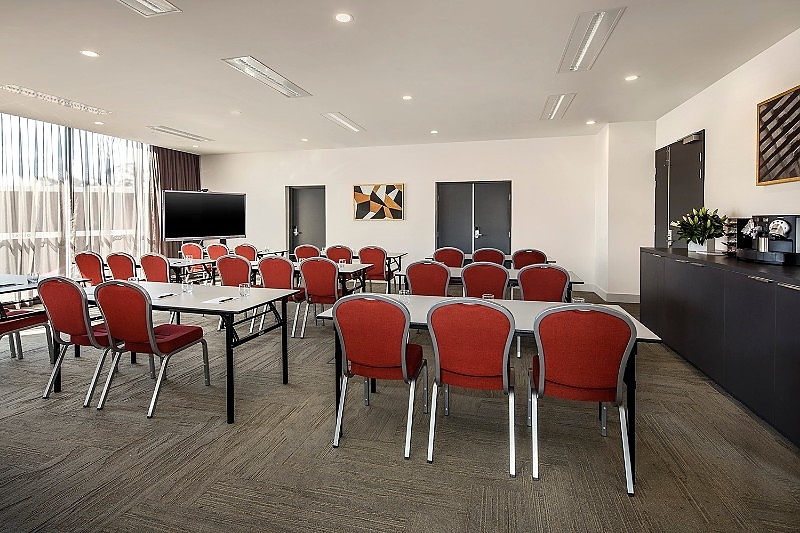 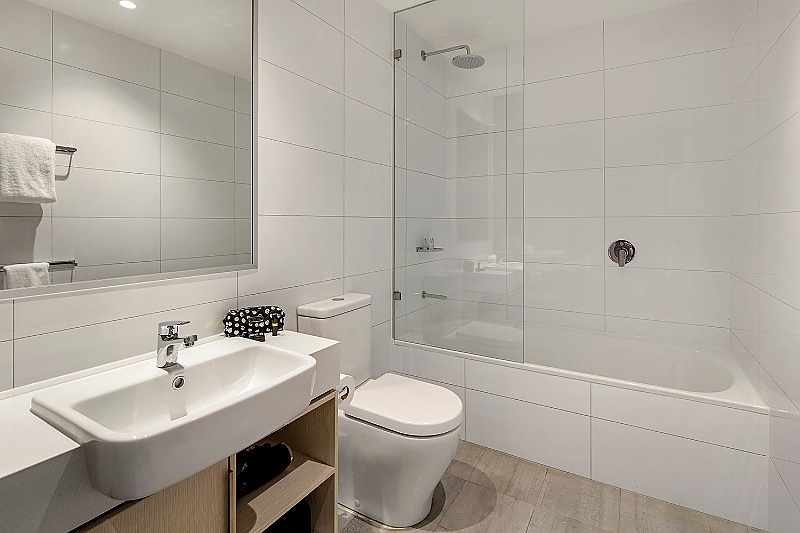 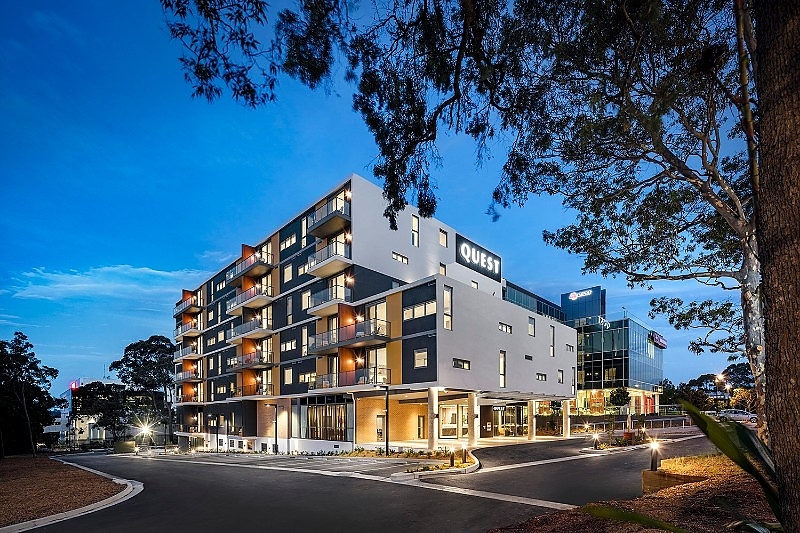 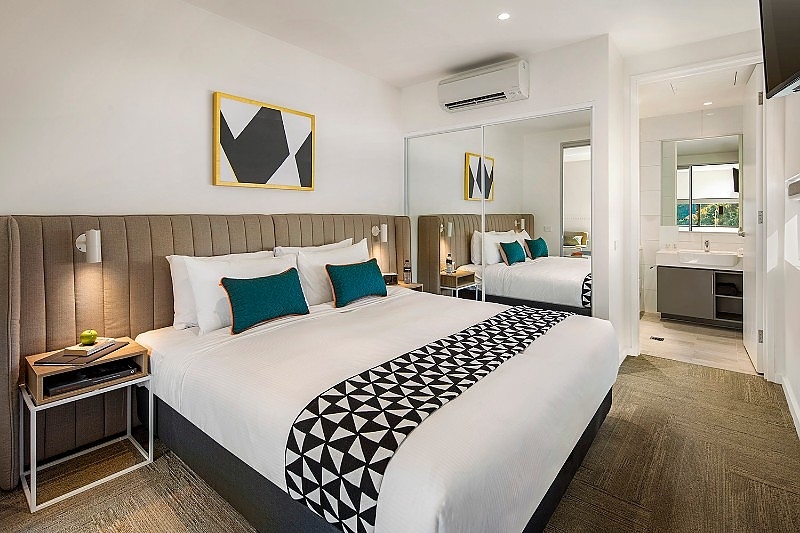 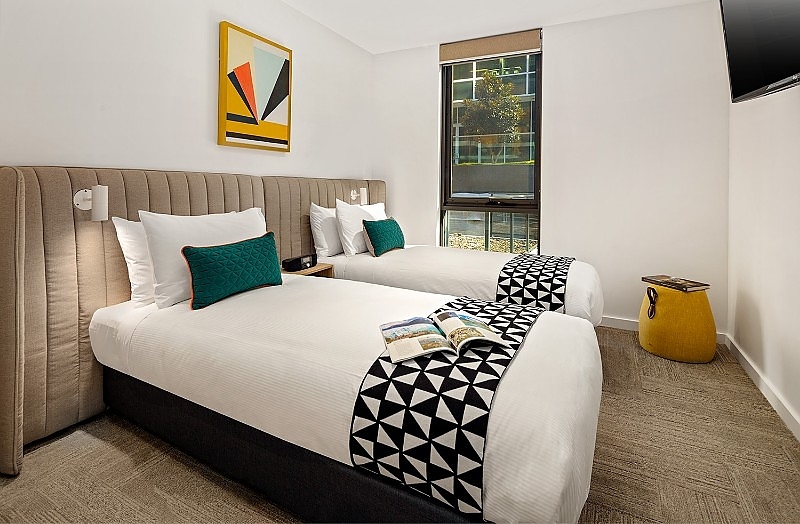 Quest Macquarie Park (NEWEST APARTMENT HOTEL WITHIN MACQUARIE PARK/NORTH RYDE AREA) serviced apartment style hotel rooms offer guests a relaxed and comfortable Macquarie Park accommodation experience perfect for short or long stays. 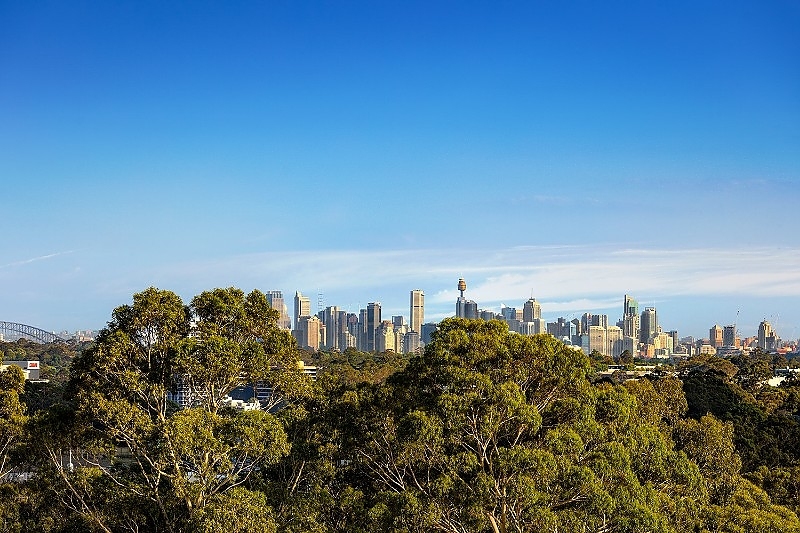 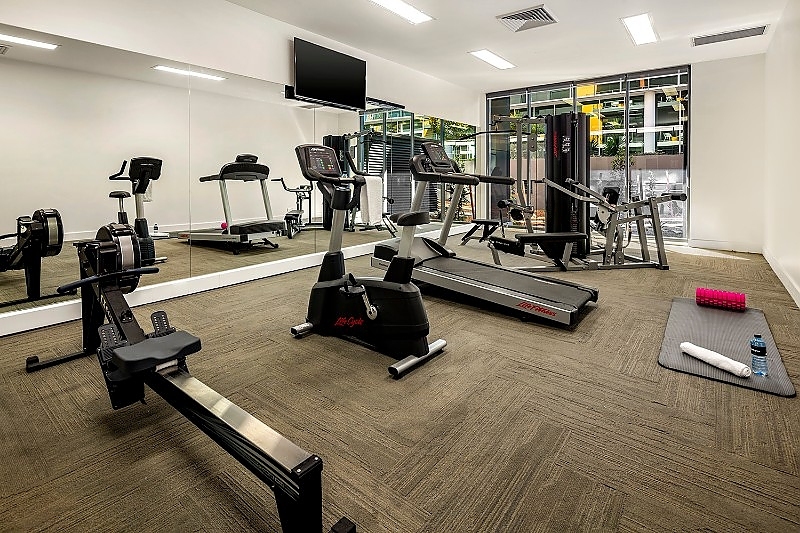 Located in the heart of North Ryde/Macquarie Park, the property is near Macquarie University, Macquarie University Hospital and Macquarie Shopping Centre, with easy access to Ryde, Chatswood, Epping and Lane Cove via Epping Road, Hills M2 Motorway, M4 and the M7. 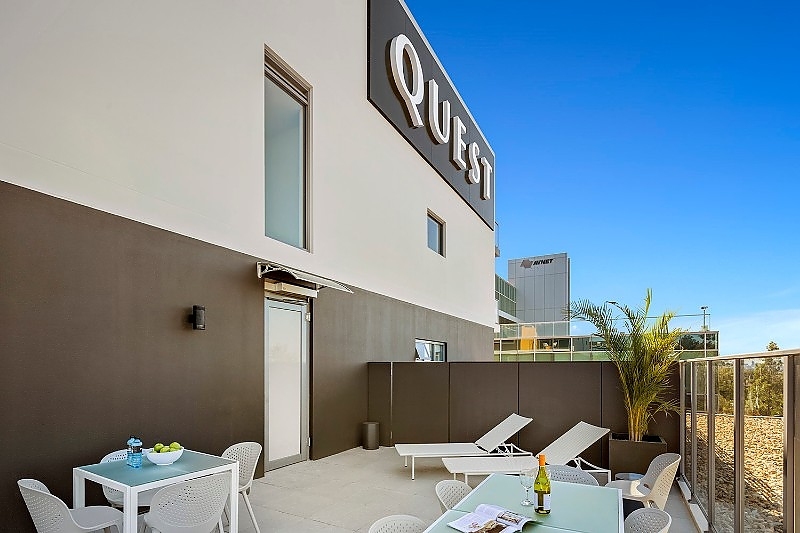 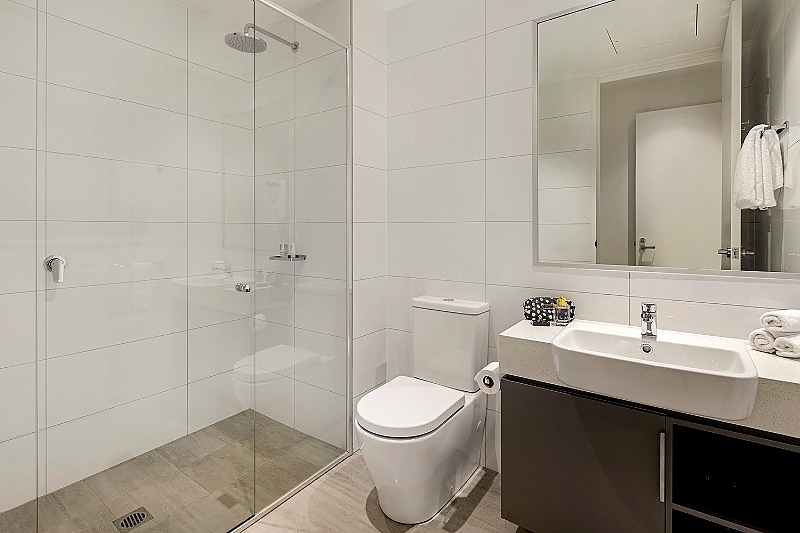 Quest Macquarie Park's serviced apartments include studios, and one and two bedroom apartments. 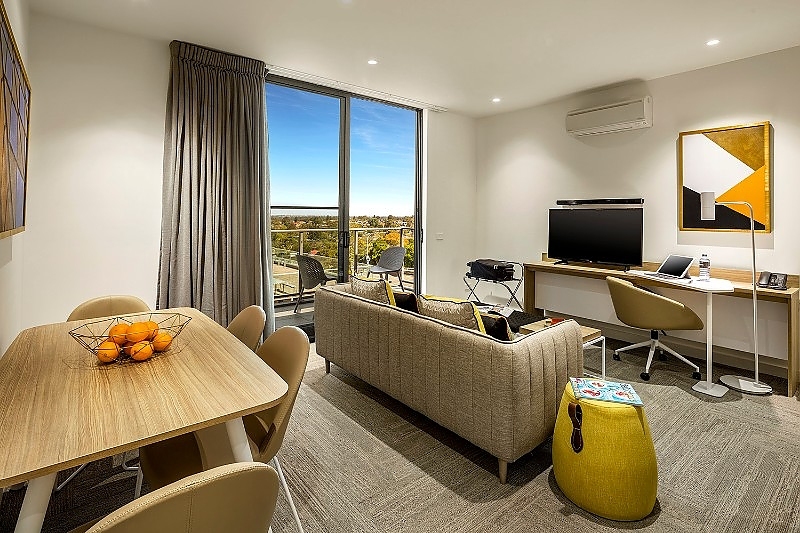 Our serviced apartments are the perfect alternative to a hotel room with full kitchens and laundry facilities. The one and two bedroom apartments are ideal for families, colleagues or larger groups looking for a home away from home experience.